The Advanced Persistent Threat attack or APT attack, which is a hacking method utilised by cyber criminals, is definitely a new reality of our online life.It has been now a known fact that cyber criminals have hacked in to target victim’s computer system through various methods like email, web, etc. and achieved to destroy or remove confidential information. The most famous and recent case has been in 2015 named Deep Panda, where the US government’s office of Personnel Management had been attacked. The hacking of the system has believed to have compromised information of over four million personnel records. The APT attack was attributed as an outcome of a cyberwar between China and the US. The Deep Panda was an extreme case of APT, where information about secret services had been destroyed. But the threat is not just limited to government organisations or bigger institutions. ZombieZero is a security solution developed to detect and protect against Ransomware and APT attacks. 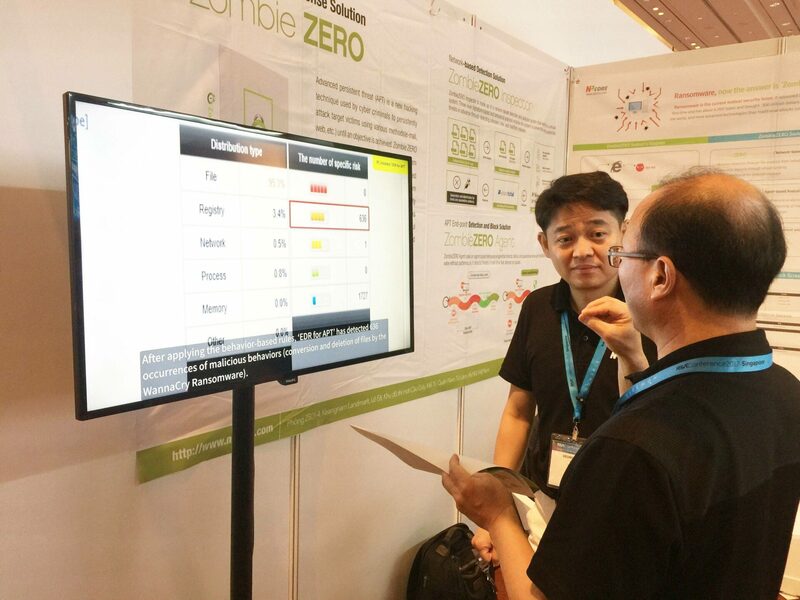 Developed by South Korean company NPCore, the Zombie Zero provides strong information security to prevent data-elimination and other network disruptions. A computer connected to the internet that has been attacked by a malware program, by a hacker or a virus or Trojan horse program, which allows to perform malicious tasks through remote direction then it is called Zombie infected. ZombieZero series is the exact answer to protect the computer system from becoming Zombie infected. 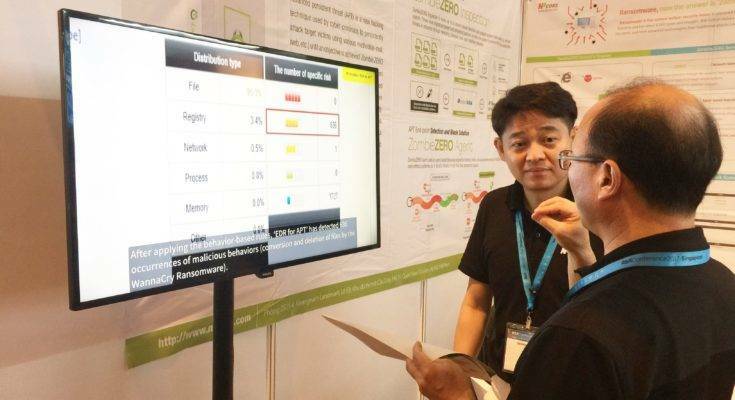 The ZombieZero technology blocks abnormal traffic generated by a process that causes an attack traffic by detecting it and blocks transmission of normal traffic and traffic control using the same Device. Simply put the users infected by zombies can block and treat only zombie traffic without using Internet Explorer. The 2-level defence system of the ZombieZero Series interworks between an endpoint-based behavioural defence system and a network-based behavioural detection system. a network quickly and accurately. In recent years, thousands of computers have been infected by bots, or web robots that infect PC room computer with malicious code, analyse usage and causing serious disruption to services. The number of attacks caused by botnets are increasing and are bigger threat to companies. ZombieZero can detect, block and treat the activity of a Bot. The existing cyber security solutions are signature-based anti-virus engines, which can only detect known malware and cannot respond to serious attacks like APT or Ransomware, a type of malicious software which threatens the victim’s data being published or blocked forever unless a ransom is paid. But a behaviour based engines like ZombieZero can detect unknown malware as well through its endpoint Security. Thus ZombieZero can be assessed as an excellent technology to beat the Zombie infection in cyber world and save confidential data from being destroyed or compromised upon. NPCore, the company behind the ZombieZero, was established in 2008. It specialises in developing malware detection and response solutions in the Anti-virus centric security market. NPCore has provides the two-level defence mechanism “Zombie ZERO” to governments, financials, universities, enterprises. NPCore has established branch offices in US and Vietnam since 2014. The company has a wide distributor network in Japan, Indonesia, Taiwan, Malaysia, Thailand, Dubai and US. NPCore has been exporting ‘Zombie Zero’ to Japan, US and Vietnam since 2015. The global presence of NPCore and Zombie Zero series sure represents Korea’s best in the world’s cyber security market.